This event is free and open to the public. 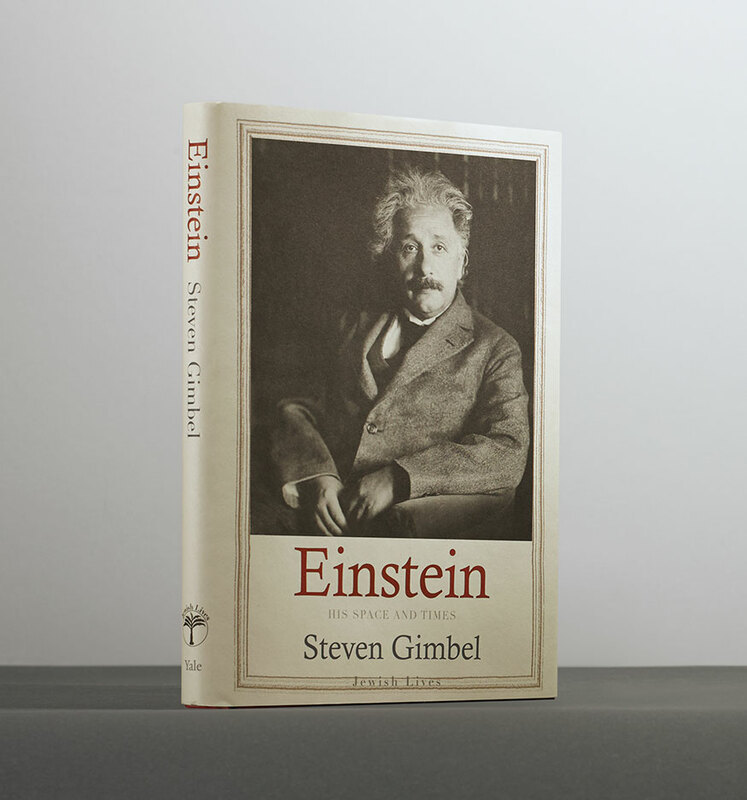 For more information about the Jewish Lives Book Club, please visit jewishlives.org/bookclub. *Please note a recording of this virtual author event will be posted within two weeks following the event. EIGHT ACCLAIMED AUTHORS ON EIGHT EXTRAORDINARY JEWS. You're invited to a FREE evening at the Streicker Center with eight prominent authors who’ve written biographies of some of the world’s preeminent Jews. Join us as we explore their subjects’ struggles and achievements — and what they teach us about who we are as a people. Moderated by James Atlas, founding editor of the Penguin Lives series. On this third night of Hanukkah, we will light candles and serve sufganiyot at a post-event reception where books will be sold and signed. Critic, writer, and editor Wendy Lesser guides a conversation about the work and life of Jerome Robbins. She is joined by Emily Coates, Kay Mazzo, and Edward Villella—dancers who all worked with Robbins at different points of his career. The event is in conjunction with the release of Lesser's book published by Yale University Press: Jerome Robbins, A Life in Dance, a lively and inspired biography celebrating the centennial of this master choreographer, dancer, and stage director. Wendy Lesser, the founding and current editor of The Threepenny Review, is the author of eleven nonfiction books and one novel. Her new book is a biography of Jerome Robbins in the Yale Jewish Lives series. Her latest, before that, was the prizewinning You Say to Brick: The Life of Louis Kahn, published by Farrar, Straus & Giroux in 2017. She has received awards and fellowships from the Guggenheim Foundation, the American Academy in Berlin, the National Endowment for the Humanities, the Cullman Center for Scholars and Writers, and many other institutions, and she is a fellow of the American Academy of Arts & Sciences as well as of the New York Institute for the Humanities. Her journalistic writing about literature, dance, film, and music has appeared in a number of periodicals in America and abroad. Born in California and educated at Harvard, Cambridge, and UC Berkeley, Lesser now divides her time between Berkeley and New York. Celebrate Harvey Milk Day with Jewish Lives author Lillian Faderman and author/activist Cleve Jones as they discuss the latest addition to the Jewish Lives series, Harvey Milk: His Lives and Death. Hear from Jewish Lives author Lillian Faderman on the latest addition to the Jewish Lives series, Harvey Milk: His Lives and Death at the San Diego Harvey Milk Diversity Breakfast. The Harvey Milk Diversity Breakfast is designed to bring together more than 1,000 diverse San Diegans – business, labor, Democrats, Republicans, all communities, all ages, all San Diegans who support equality and justice – to celebrate the memory of this influential civil rights activist. Proceeds benefit the social services programs of the San Diego LGBT Community Center. Join us for a free livestreaming author event with Itamar Rabinovich, author of Yitzhak Rabin: Soldier, Leader, Statesman. Livestreaming video of the event will be available here, and a recording will be posted online following the event. This program is part of a new synagogue reading group program "Reading Jewish Lives," in partnership with Park Avenue Synagogue and congregations across the United States. To learn more, please email contact@jewishlives.org. Torah-teaching has had its fair share of rock stars over the millennia, from Maimonides to Rashi. But these days, the superstar of biblical commentary is Avivah Zornberg, beloved by religious and secular crowds alike who fill auditoriums worldwide to hear her speak. The author of six books, with a Cambridge PhD and a grand rabbinical lineage, has agreed to continue our series of Pop-Up Classes. Take a deep dive into the man who was Moses, based on Dr. Zornberg’s latest book, the critically acclaimed Moses: A Human Life. We’ll discuss the pivotal role Moses’s speech inhibition—of all things—plays in the Exodus narrative, asking the deeper question: What role does voice play in any communication? On Passover, we follow the commandment to tell the story of the Exodus. But doesn’t knowing come before telling? The tale of Moses’ sister offers an intimate glimpse into the tension into the power-siblings. Rich Midrashic material will illuminate this mysterious relationship. The anticlimax to the narrative of revelation at Mt. Sinai is the catastrophe of the Golden Calf. What was Moses’ role? Learn more and buy tickets today! 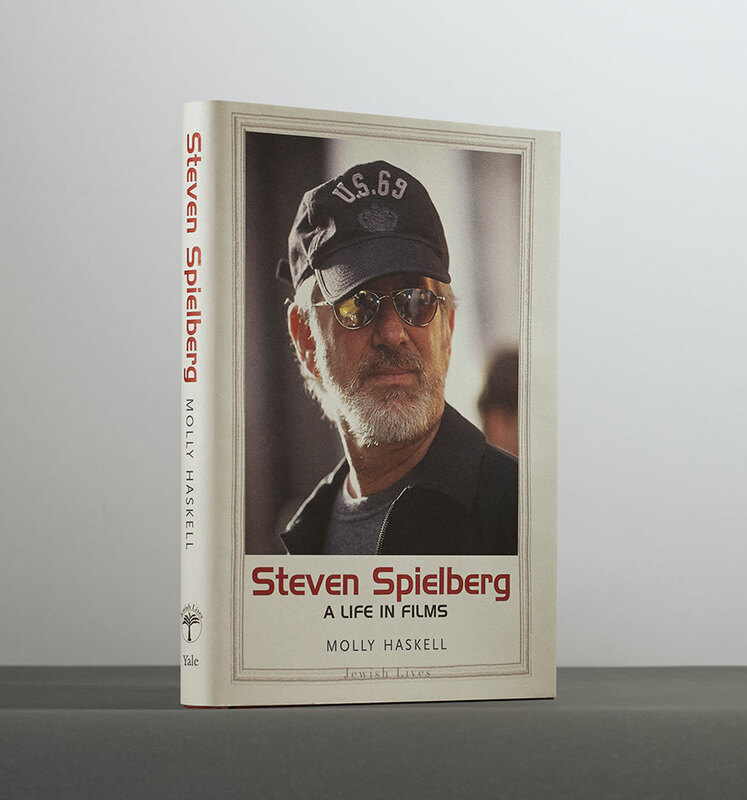 Join us for a special livestreaming author event with Molly Haskell, author of Steven Spielberg: A Life in Films. Livestreaming video of the event will be available here, and a recording will be posted online afterwards. This author event is part of our new synagogue reading group program "Reading Jewish Lives," in partnership with Park Avenue Synagogue and congregations across the United States. To learn more, please email contact@jewishlives.org. Prepare for Yom Kippur by exploring the story of Rabbi Akiva, the greatest figure of the early rabbinic period. Rabbi Akiva died a martyr's death at the hands of the Romans in the early years of the second century of the Common Era. His death--with the Shema on his lips--became the model for martyrs throughout Jewish history, and his story is even included in poetic form in the traditional liturgy for Yom Kippur. We will look at the early sources that tell of Akiva's death and explore the enduring underlying themes of his biography as they are expressed in the last moments of his life. Copies of Dr. Holtz's recently published Rabbi Akiva: Sage of the Talmud will be available for purchase and signing. Film critic and historian David Thomson brings us behind the scenes at the legendary Warner Brothers film studio, where four immigrant brothers transformed themselves into the moguls and masters of American fantasy. The Warner Brothers — Harry, Albert, Sam and Jack — arrived in America as unschooled Jewish immigrants, and founded an unpromising film studio that became the smartest, toughest and most radical in all of Hollywood. There will be a book signing following this event. Click here for tickets. Professor Barry Holtz of the Jewish Theological Seminary talks about his new biography of the brilliant and fascinating first century Rabbi Akiva, a Talmudic hero and one of the most important influences on Jewish history down to our own times. After his talk, Barry Holtz will sign copies of the book. An Evening with "Louis Brandeis"
Jewish Lives author Jeffrey Rosen appears as Louis Brandeis in an unusual evening of conversation with Jens Hoffmann, Director of Special Exhibitions and Public Programs inspired by Andy Warhol’s Ten Portraits of Jews of the Twentieth Century (1980). Free with Pay-What-You-Wish Admission. RSVP Recommended. More details available here. The Center for Middle East Policy at the Brookings Institution will host an event featuring Brookings distinguished fellow, Israeli Institute President, and former Israeli ambassador to the United States, Itamar Rabinovich whose new book, Yitzhak Rabin: Soldier, Leader, Statesman, recounts the late Israeli prime minister’s rise through Israel’s military and political ranks. The program will begin with featured remarks by President Bill Clinton. Afterwards, Brookings Executive Vice President Martin Indyk will moderate a conversation between Ambassador Rabinovich and Dalia Rabin, the late Prime Minister Rabin’s daughter and former Member of Knesset. More than two decades after the tragic death of Israeli prime minister Yitzhak Rabin, one of his most trusted aides, former Israeli ambassador to the US Itamar Rabinovich, who has now written Yitzhak Rabin: Soldier, Leader, Statesman, provides new insights into Rabin’s relationships with world leaders, his peace policy toward Syria and the Palestinians, and the repercussions of his murder for Israeli politics today. He is joined by Rabin’s daughter, Dalia, for a look back at this extraordinary leader’s legacy and a look forward at the future of Israel and prospects for peace. 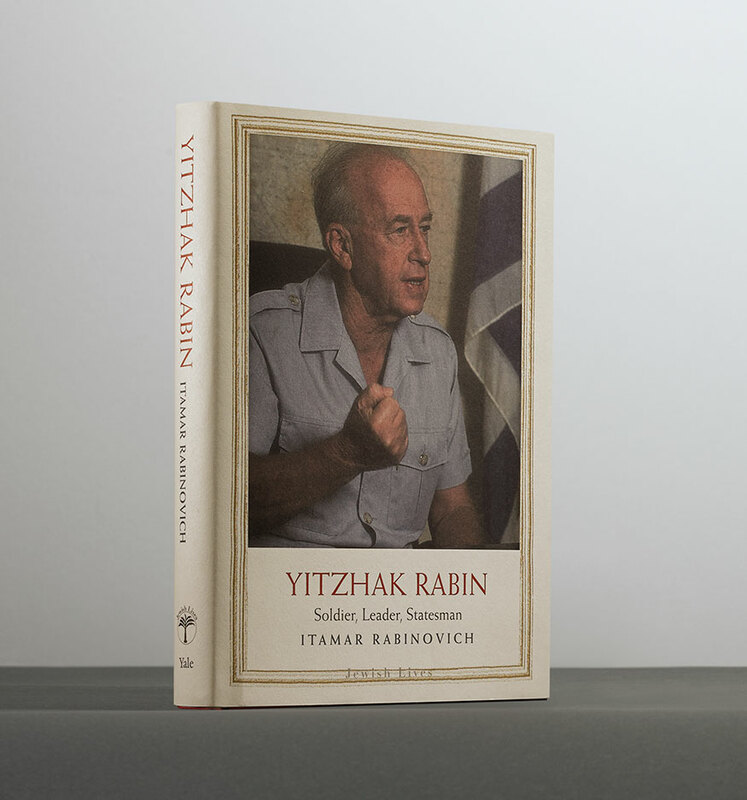 Itamar Rabinovich will be signing copies of Yitzhak Rabin: Soldier, Leader, Statesman following the event.